The 1st January is traditionally the day members of the City Daily Photo community choose their favourite photo of the previous year. My favourite has to be this one taken in November. I was drawn by the cloud formations and so walked towards the sea near to the heliport in Fontvieille. Standing there was this man, in perfect silhouette. I love that sky and the feeling of space - something we don't think of when we see the built-up nature of Monaco. 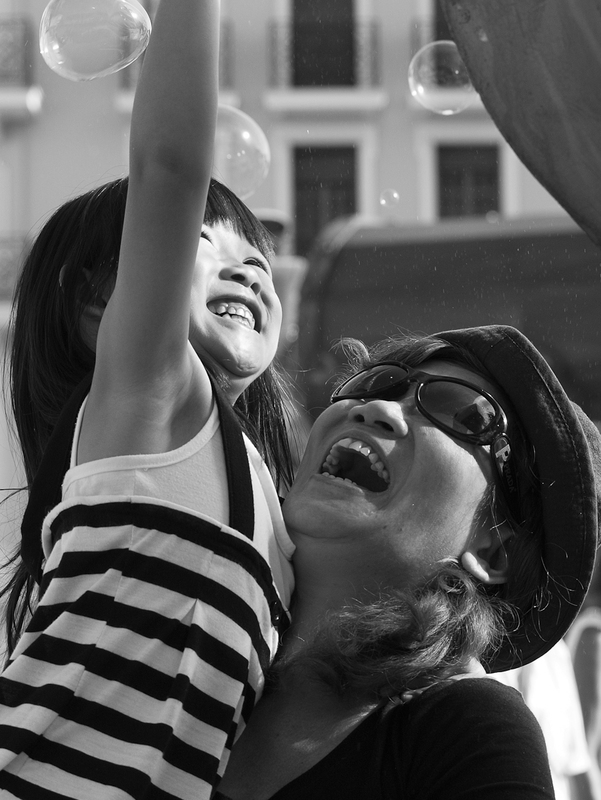 And for a little extra, I give you the joy on the faces of this mother and daughter as they played with bubbles at a festival on le rocher in summer. Happy New Year to everyone (let's hope it brings peace to the crazy world of ours) and thankyou once again to readers of Monte Carlo Daily Photo - for your support, your comments, your private emails and encouragement - it really does mean so much to me. Fantastic shot, it´s a great choice to this theme day. Happy New Year! It's interesting that both choices are B&W whereas your other photo blog has the wedding photo in color. I especially enjoy the shot of the mother and child. Portraits are my favorites also, and this one is really very special because it speaks volumes about the relationship of the two. Everything about his photo is perfect. 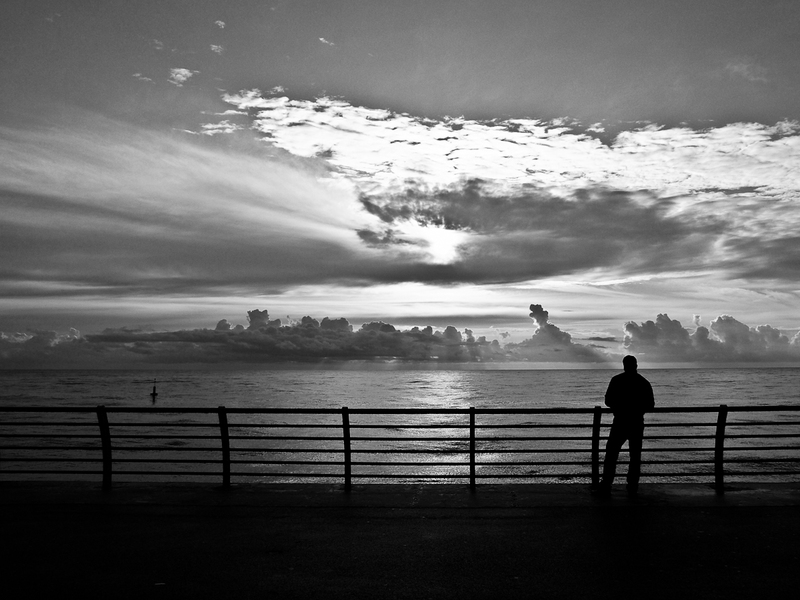 The sky is amazing, the man standing there is contemplative, and the choice of black & White is so perfect. I love it. This is a great photo. Your capture of the sky looking into the direction of the sun is masterful. Thank you for your comment about the problem with the comment feature on Julie's blog. She has contacted Blogger about the problem a number of times. It is a mystery why this problem afflicts her blog. An exquisite shot with a beautiful bonus. I love them both. Here's to a wonderful, happy new year, Jilly! Great choices for the theme day. I love the 2 images. Happy New Year! This is outstanding! I associate this type of cloud with the tropics. It's beautiful! This is among the very best on offer today. It could be any large body of water - it has a sense of universality and timelessness.